Thank you to everyone that donated on Giving Tuesday for Toby's Foundation!! Your support makes a difference!! 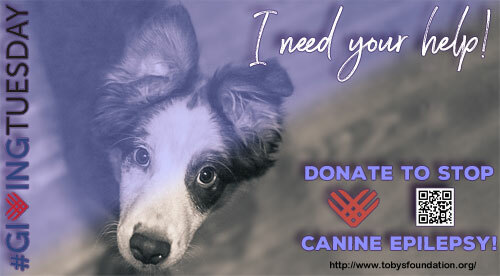 tax-deductible donation to Toby's Foundation to help us in the fight against canine epilepsy! Make a donation in honor of or in the name of someone and we will send out an acknowledgment card to whomever you specify. dogs suffering from this disease. an acknowledgement card can be sent to whomever you specify.